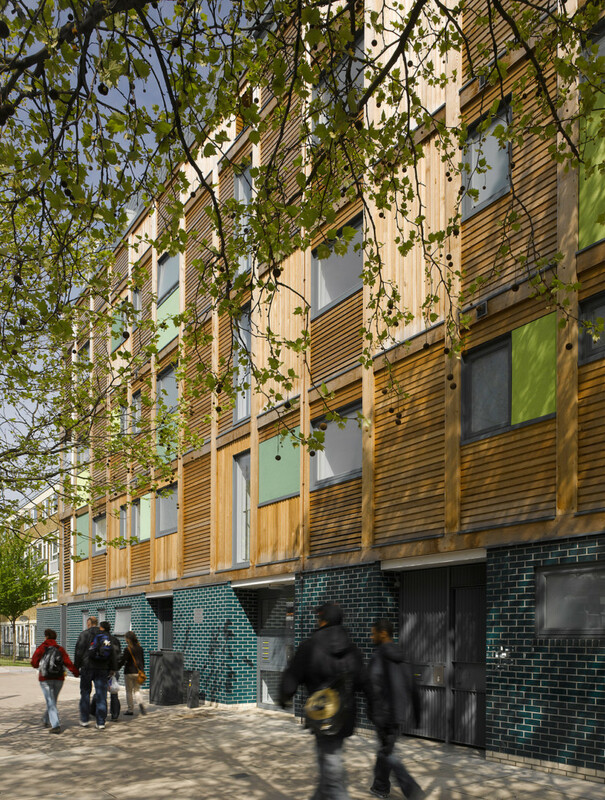 Wardroper House addresses an urgent need for affordable housing in central London, whilst maintaining sought-after open space for its occupants and neighbours. Chosen for our ‘design edge’ by Southwark Council, our scheme plays a leading part in the evolving regeneration of the Elephant & Castle area. Through sensitive urban design and clever material composition, the scheme knits together a disjointed streetscape and eclectic architectural context. At the heart of the scheme is a peaceful and well-overlooked communal garden animated by doors, windows and balconies. 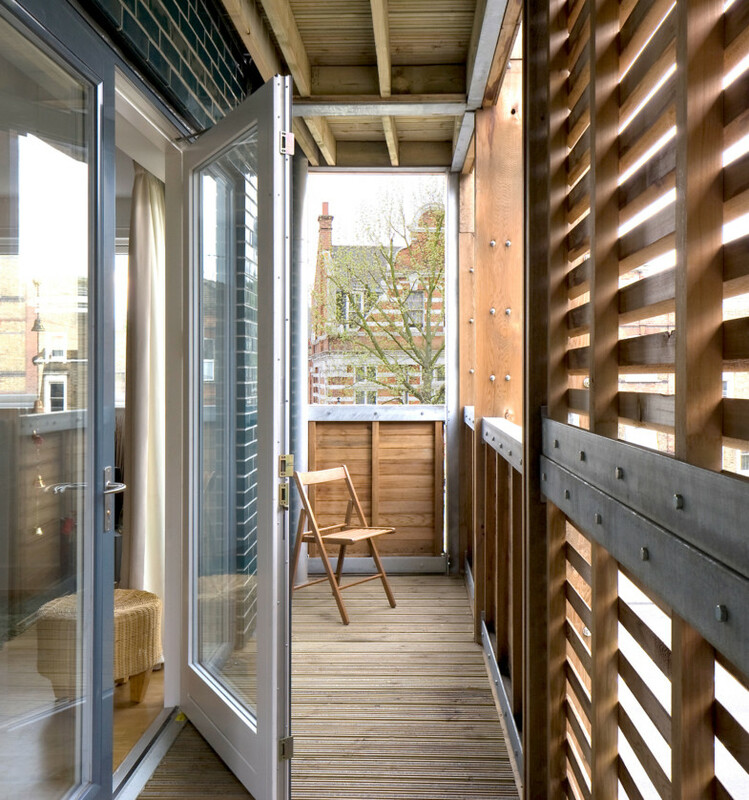 Every home has its own private balcony and access to a secure bike store. 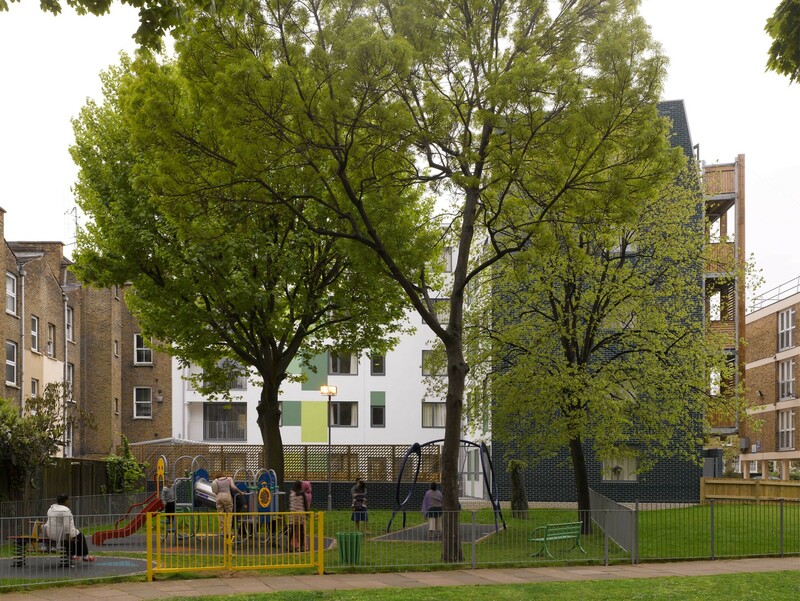 Beyond, a new public playground fosters links between residents and neighbours, enhancing the social life of the wider estate. We believe that new development should improve, not jeopardise, valued amenity space. 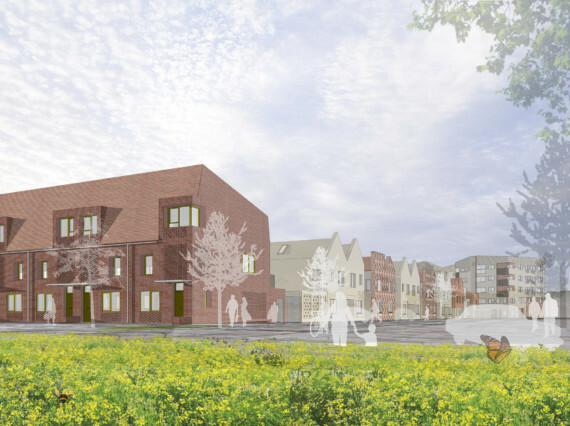 Located between a main road, a Conservation Area and a large housing estate, our scheme ties these different characters together in a response that respects and enhances its context. Mindful of the impact of construction on city life, we maximised off-site manufacture. An innovative system of lightweight, prefabricated structural panels enabled rapid assembly of the pre-made frame and façades, minimising site waste and build time. The process allowed us to combine economy, quality and neighbourliness through quick, considerate construction. 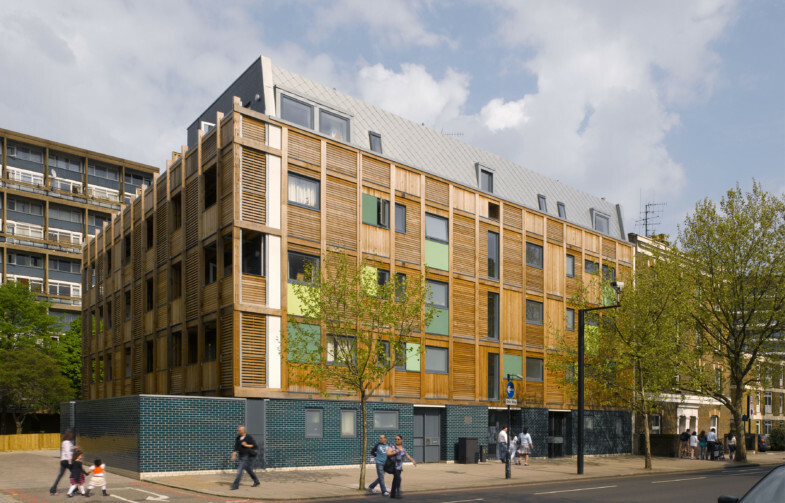 We used timber playfully to achieve a range of functions: a perforated sun screen on balconies, a tactile cladding, an acoustic buffer to the street and a low-carbon equivalent of the concrete frameworks of adjacent buildings. Wardroper’s apartments are airy, comfortable and adaptable to the changing needs and lifestyles of their residents. Open-plan living areas can be partitioned to create extra rooms. 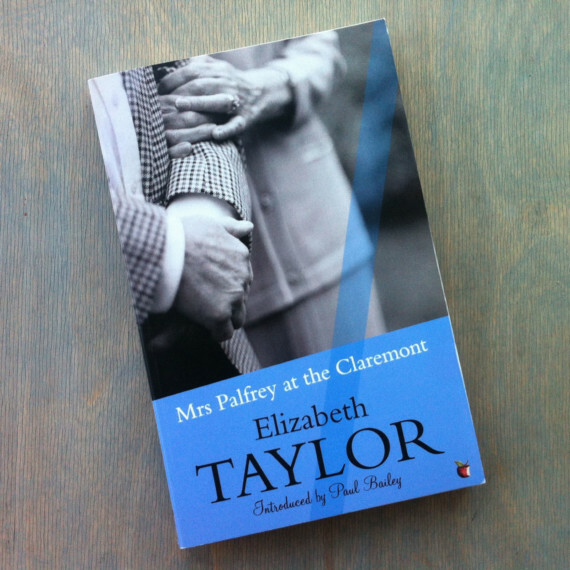 Each home has a flexible third room offering a study space or additional bedroom. The apartments exceed Southwark’s space standards. 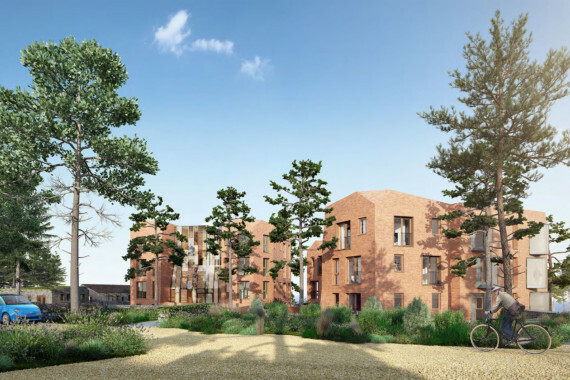 The scheme implements simple but effective green measures: good orientation, sun shading, rainwater harvesting and cross-ventilation through dual aspect living spaces. Photovoltaic panels, low-water appliances and heat recovery systems further reduce energy consumption. The local area is an eclectic mix of building styles. Elegant Victorian terraces and ornamented facades jostle with patchwork infill development and no-frills estate blocks. Our architecture is a collage of fragments of this heritage. At ground level, bottle green glazed bricks pay homage to the Victorian corner pubs. 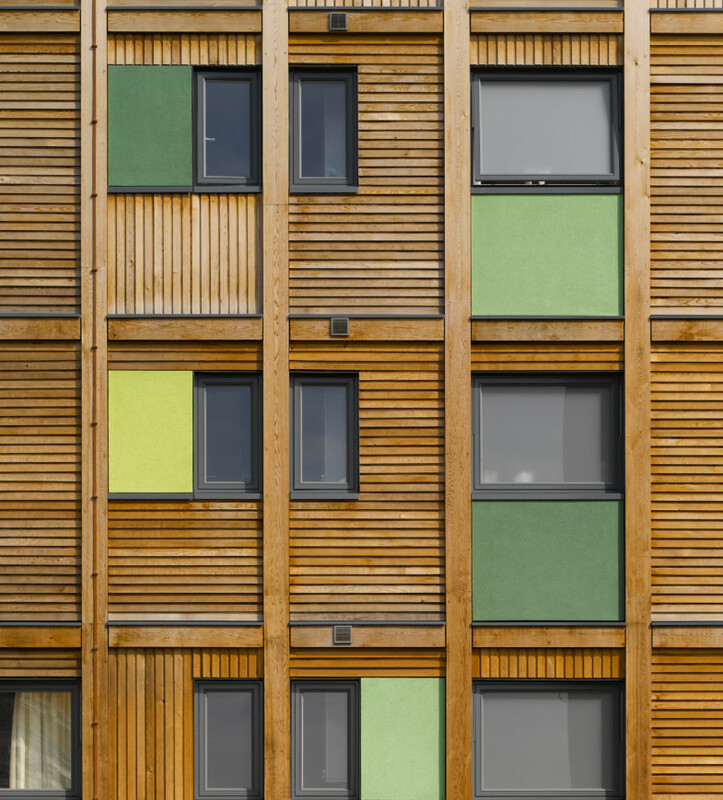 Gridded cedar cladding follows the rhythm of nearby housing blocks. Rendered swatches offer a flourish of colour in keeping with the playground next door. The fourth storey mansard is herringbone zinc tiles. It steps back to align with neighbouring buildings to unify the street frontage.